Combine history, English, Bible, and music, with Scriptures in Meter! If You Want Your Children to Trust You When They Are Teenagers . . . Combine History, English, Bible, and Even Music, with Scriptures in Meter! Okay, this isn’t for everyone, but I think it’s “cool.” If you want to combine history, English, Bible, and music in one activity, Scriptures in Meter may be for you! Great for homeschool, family worship, or just family fun! A few years ago someone gave my family a Scottish Bible printed in the 1800’s. What a treasure! This gigantic Bible (clearly intended to only be used at home and not carried to church!) contains all of the “Psalms in Metre” plus several other selected scriptures in meter. They are Bible passages reworded to work like hymn lyrics, which is exactly how they were meant to be used. Yeah, the wording is awkward sometimes! His praise forth tell? But that’s where the history comes in: history appreciation. The past wasn’t exactly like the present, and that’s okay. Hint: you may be able to update the wording in some places. Sounds like a good homeschool English assignment to me! The scriptures in meter are not exclusive to this Bible, of course. I found one of them (Psalm 23) in my hymnal labeled as a Scottish Psalter. I have even seen some of the Psalms in Metre available on the Internet. 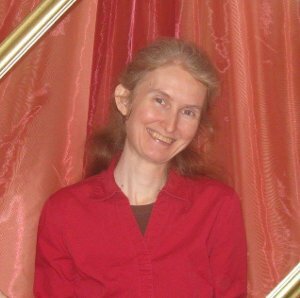 However, I would find a scanned page of relatively small print rather inferior to sing by or even to read~ thus the Scriptures in Meter ebook! And if you’re singing, you don’t have to wonder how to find a suitable tune—that’s explained to! 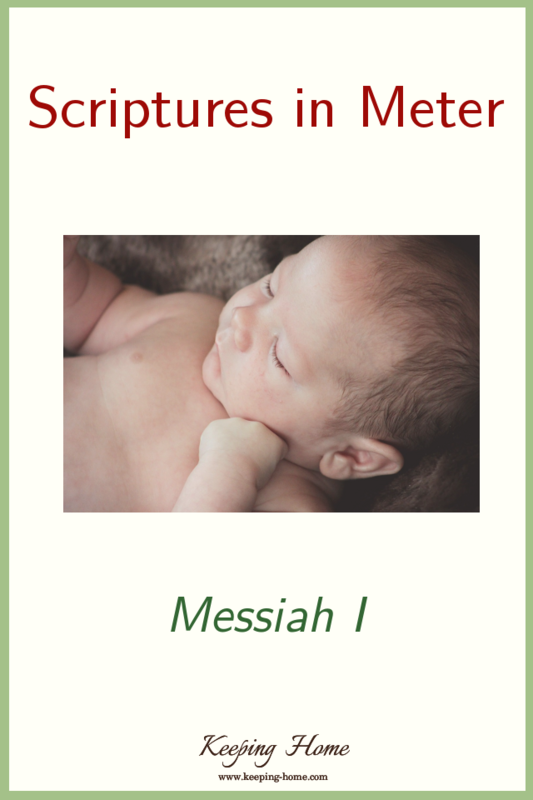 Scriptures in Meter: Messiah I features selections from Translations and Paraphrases In Verse of Several Passages of Sacred Scripture pertaining to the first advent of Jesus (in the old Scottish Bible). Scriptures included in Messiah I are Is. 42:1-12, Luke 1:46-55, Luke 2:8-14, Luke 2:25-32 , and Luke 4:18, 19. Scriptures in Meter are for reading, memorization, recitation, and singing. Explanation of the Scriptures in Meter and how to use them (7 pages). The Scriptures in meter themselves, with suggested tunes (4 pages). Full sheet printable songs in regular print (4 pages). Full sheet printable songs in large print (6 pages). Full sheet printable songs in giant print (9 pages). Printable booklet in regular print (9-page booklet). Printable booklet in large print (10-page booklet). Printable booklet in giant print (19-page booklet). Printable sheets for reading or memorization (in large print). All song sheets include space for “tunes to use” and notes by each song. Messiah I is available here. Hop on over for pictures of the inside! 12 Reasons to Have Children?